Whether video or blog posts, consistently generating fresh and fun ideas for great content is a familiar struggle for marketers. Enter: Improv comedy! 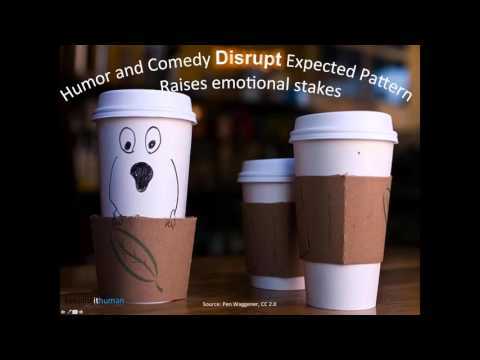 Improvisers create new entertaining scenes each time they tell a story on stage, and, using the same techniques, you can uncover fresh ideas to tell your business's story online. Learn from storyteller and improviser extraordinaire, creator of KeepingItHuman.com, and host of the Jargonorrhea Live podcast, Kathy Klotz-Guest (MA, MBA), as she reveals key improv comedy principles to help you uncover fresh ideas for your marketing.